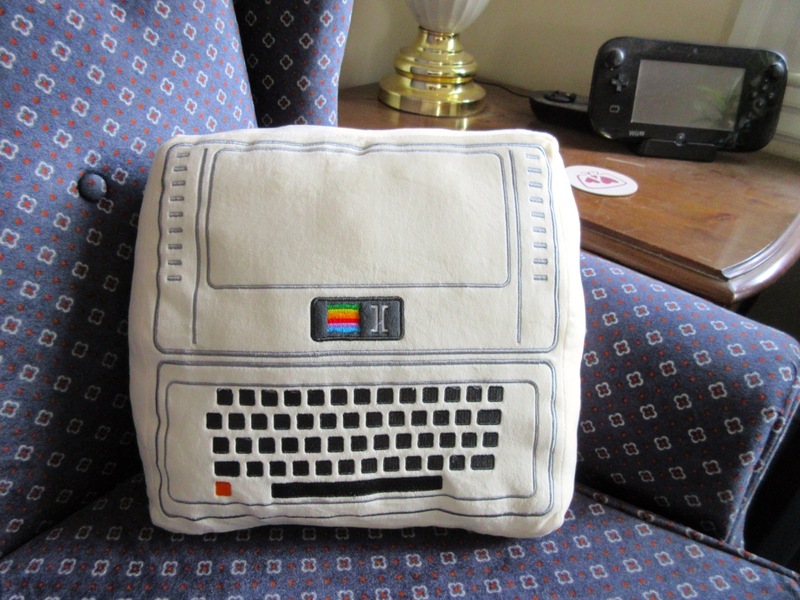 Last fall, I contributed to Roberto Hoyos' Kickstarter for "The Iconic Pillow Collection", which would deliver soft, plush pillows modeled after classic Apple products. Mine arrived about a month ago and is everything it was advertised to be. It's also a great complement for my handmade, one-of-a-kind floppy pillow — though clearly there's a discrepancy in scale between the two. Objects in pillow may be larger than they appear. 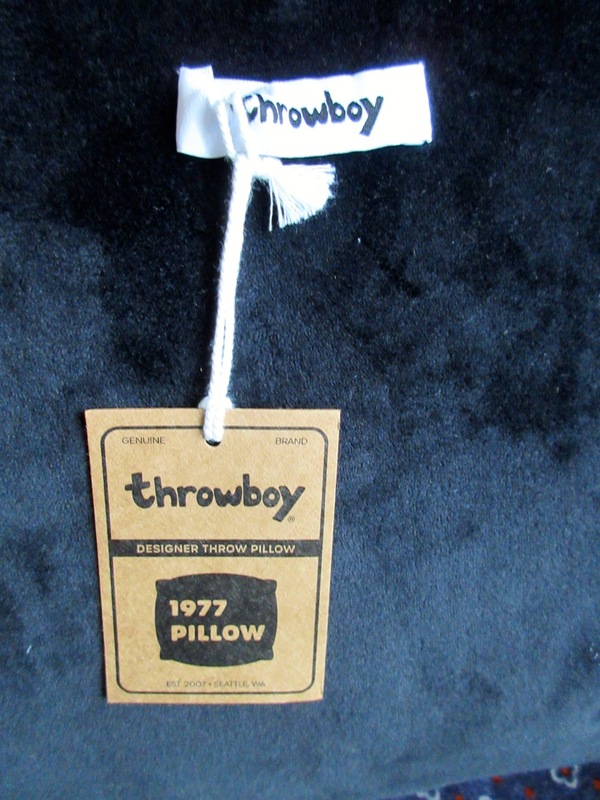 The Apple II pillow is now on sale in the Throwboy store for $39.99. But the best outcome of this Kickstarter is still to be realized. Every year, I attend PAX East, a massive video game convention in Boston, Massachusetts whose attendance is roughly 600 times that of KansasFest. I do my best to represent the Apple II at PAX, whether by hosting panels about classic game genres or bringing an actual Apple II to PAX. This year, I was assembling a panel of artists who make crafts inspired by classic gaming hardware and software. It didn't take me long to realize I had just backed such an artist on Kickstarter! 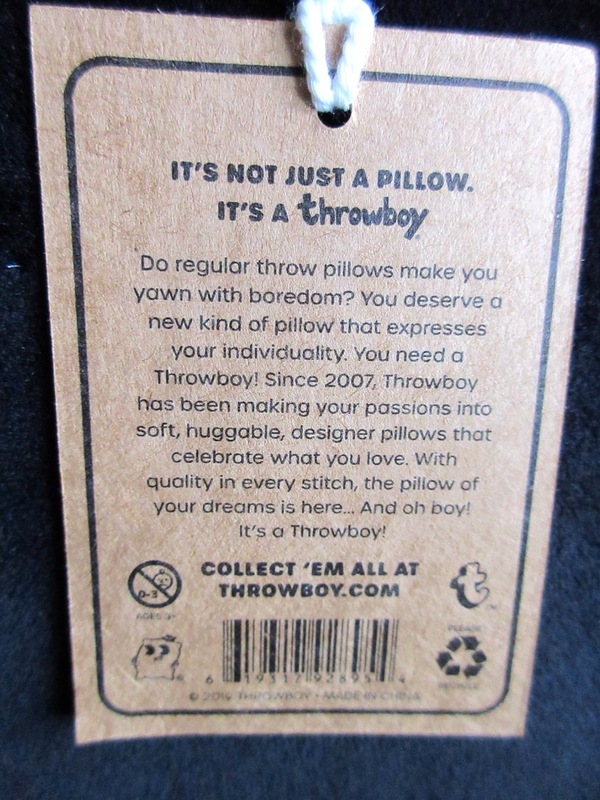 I reached out to Roberto Hoyos, CEO of Throwboy and co-host of the podcast That Thing You Made, and he enthusiastically answered my call. Our collaboration will be "The Art of Craft: Inspiring Game Creations", being held Sunday, March 31, 1:30–2:30 PM in Arachnid Theatre. Video games are art — and art imitates video games. The characters, colors, and aesthetics of our favorite digital worlds have spawned an industry of apparel and crafts that keep us warm and add a flair of the fantastic to ourselves and our homes. We'll hear from amateur, hobbyist, and professional artists and creators about the inspirations and tools they use to create, enjoy, and sell their custom clothes, jewelry, furniture, paintings, and more. 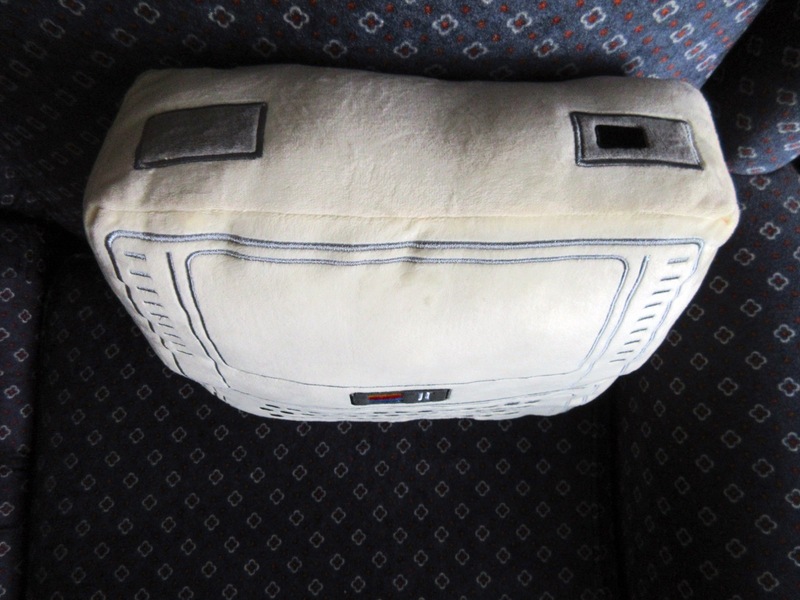 Follow along with the #paxcraft hashtag on Twitter, and expect Apple II pillows on display in force! !